Who was the best dressed at the 60th Annual Grammy Awards? Who was the worst dresses at the 60th Annual Grammy Awards? Here are a few choices to consider for the best dressed at the award show last night. See more red carpet 2018 photos at the following websites: InStyle, Vogue, US Magazine, Billboard.com and others. You may want to use the Bing or Google image search as well. 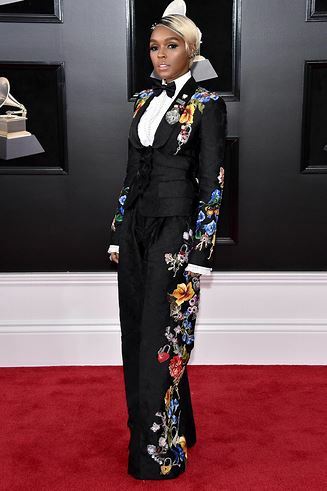 Janelle Monae in Dolce & Gabbana - Sorry, I know many people picked this as the best, but "red" carpet and dressing like a "matador" rages the bull. She actually looked lovely, the embroidery was fabulous, but possibly the wrong event. Pink in Armani - OK, you may think this looks good now, but take a look back at this photo in 10 years and tell me if you think it was a good choice. 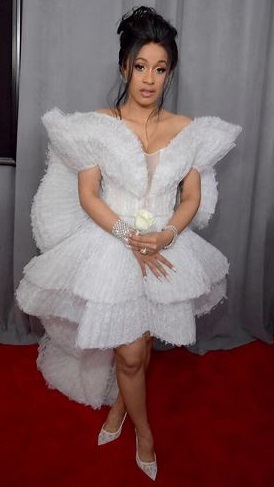 Cardi B in Ashi Studio - bit to puffy for my taste. Honorable mention goes to Heidi Klum. Not sure if I love it or hate it. A little of both maybe.